Infrastructure equipment for data centers, wireless and microwave installations, medium to large enterprise solutions. 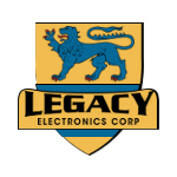 New and refurbished phones with warranty, CISCO, AVAYA, NORTEL, POLYCOM, PLANTRONICS, AASTRA, SHORETEL, PANASONIC, ERICSSON, LUCENT, ESI, AUDIOCODES, DIALOGIC, NMS, Cyan. Showing 251-300 out of 2844 total parts. ExcessWireless.com - All Rights Reserved.